Tramadol can stay in your system for up to months after the last dose. It may remain in the blood in detectable amount for up to 24 hours. Likewise, the urine and hair samples may contain it for up to 5 days and 90 days respectively. In any case, various other factors also influence it. How long does Tramadol stay in your system? Well, you may find many different answers when you google it. But it should not surprise you. No doubt, there are reasons for such significant differences among the patients. Every individual has a unique ability to digest, metabolize and excrete the drug. Besides, other drug factors further complicate the situation. They include doses, drug preparations, and simultaneous use of other medications. Thus, tracking the effect of every variable and determining the time for each is seemingly impossible. Nonetheless, certain standards help to interpret the test results. It is an opioid pain medication that treats moderate to severe pain. It reduces the pain by altering how your brain process the pain signals. Moreover, it increases the levels of certain brain chemicals. Long-term users and abusers may develop an addiction. So, doctors recommend exercising an extreme caution during the therapy. 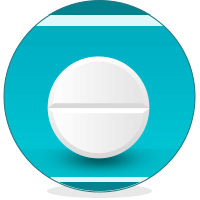 After you take it mouth, Tramadol is metabolized by two ways. First, the liver enzymes convert it into O-desmethyl tramadols and N-desmethyl tramadols. Then, the remaining drug and the metabolites are further metabolized by a pathway called conjugation. Notably, O-desmethyl tramadols are biologically active. Thus, it can produce the effects similar to that of the unchanged drug. A “window of detection” refers to the period during which a sample has enough drug (or metabolites) to fall within the cut-off range. You should understand that a negative result does not mean you have not taken the drug. Rather, it means the amount present in the sample is lower than the cut-off value. With a positive test, you will need to have a confirmatory test, though a negative result requires no further tests. Experts say a positive Tramadol test indicates drug use within the previous three days. The window of detection of Tramadol, when you check the urine, is 3-5 days. Meaning, if you take a tablet today and test within 3-5 days, the amount present in the urine test may be well above the cut-off range. Also, the urine sample has approximately 30% of the original drug while the metabolites contribute about 60% of the total excreted drug. Put simply, if you take a 100 mg dose, 30 mg will be present in the urine as Tramadol itself. The test determines the presence of both the parent drug and metabolites. Urine tests to determine the current or past use of narcotics is common. You may need to take a test before joining a new office. As a matter of fact, the urine test is straightforward and easy to carry out. Also, the drug tends to remain in the urine for a longer time than in the blood or saliva. Blood tests for Tramadol are not as common as the urine test. For the most part, it is because drawing the blood sample is an invasive procedure. Yet, some hospitals may use the blood test to measure the patient’s response. Moreover, scientists may also draw the blood sample for research purposes. The detection window of Tramadol using the blood sample may be twenty1-24 hours. Studies have found that the sustained-release tablets can reach peak concentration 4.9 hours after you take it. Normally, the standard detection window for Tramadol using a hair analysis is 10-90 days. However, deviations in the timeframe are entirely possible. Note that the hair can retain it for a longer time in comparison with the urine or blood sample. How long Tramadol stays in the system may not correspond to the test results. That said, you may have it in your blood or urine and still get a negative result; when the amount in the sample lies below the cut-off level. Another determinant of the test result is the sensitivity of the procedure that you use. Understandably, the test with a higher sensitivity detects even a slight amount of the drug in the sample. Scientists estimate how long Tramadol stays in your system by analyzing four parameters; absorption, metabolism, distribution and elimination (A, D, M, E). While all these terms may be too technical, you can make sense of it by an alternate way. Here it is. Absorption: The time it takes to reach the bloodstream and the amount in the blood following the intake. Foods in the stomach, the individual capacity to digest, and the type of Tramadol preparation affect absorption. Distribution: The amount present in various body tissues after it gets absorbed into the blood. Body fat is key to determining how much drug is present in the tissues. Also, the drug’s solubility in fat influences distribution. So, a large person may retain Tramadol for a long time. Metabolism: In this process, various body enzymes convert the parent drug into other chemicals. Notably, liver enzymes metabolize most drugs. Thus, if you have a liver disorder like hepatitis, the ability to metabolize is largely reduced. Besides, as a person ages, the liver enzymes dip making metabolism slow down. Elimination: Elimination is the process of flushing out a drug or its metabolites. Kidneys are the major organs of elimination. Thus, the presence of some kidney disorders can slow down the excretion. Lastly, if you are taking another medication, it can affect any of parameters mentioned above. Talk to the experts to know more about how long Tramadol stays in your system and the withdrawal symptoms. They are one of the few sources for an authentic health information. With the correct information, you can expect to benefit better. Looking for professional medical help for Tramadol or opioid addiction? Get the best rehabs page here. Addiction Resource » Addictive Substances: The Anatomy of Drug Addiction » Tramadol – Drastic Effects of Abusing this Opioid Painkiller » How Long Does Tramadol Stay In Your System? Why didn’t my doctor tell me all this about the driving? I would never have taken this drug. I am going to have my friend drive me everywhere for while. 90 days ? This is scary. I take it for legitimate pain. Now I will just suffer with the pain, I guess. I have become addicted to Tramadol because of severe pain to my knee caused by a drunken stupor one night. I take about 200mg a day of Tramadol and also consume allot of alcohol with it. I would like to get my blood tested but I am afraid the test will not be correct because of all the alcohol in my blood stream. I must solve my drunk problem first and then try to get off Tramadol. Not likely but I will try. I am in drug court and I got my hand smashed in a machine at work around lunch time on a Friday and my grandfather gave me 2 – 50 mg Tramadol, I have to take a urine drug test at 12 pm Sunday, will it still be detected in my urine. That is the only time I have ever took Tramadol & at the time I did not no what it was. How did it turn out? Was it detected?